Three suspects have been detained, while two others are still on the run. FRENCH POLICE HAVE recovered some of the jewels worth over €4 million looted from the Ritz hotel in central Paris, a police source told AFP this morning as officers hunt for two thieves who remain on the run. A gang of five used axes to smash the display windows of jewellery shops on the ground floor of the hotel in Place Vendome yesterday evening at around 6.30pm (5.30pm Irish time). “A part of the loot was recovered scattered about during the arrest of three of the suspected robbers,” the police source said, referring to the men detained immediately after the heist. More jewels and watches were found in a bag dropped by one of the two suspects still at large, the source added, without being able to give an estimate for the value of the goods retrieved. Place Vendome, home to some of Paris’s top jewellers and high-end watchmakers, has been the scene of several audacious daytime raids in recent years. Several luxury brands display their jewels in the Ritz, famous as a hangout of Coco Chanel and Ernest Hemingway as well as for being the hotel where Britain’s Princess Diana stayed before her death in a car crash in a Paris tunnel in 1997. Three of the robbers, who were wearing gloves and balaclavas and carrying handguns as well as hatchets, entered the hotel from the back and smashed the display windows, according to two police sources. They tried to escape out the back but found the doors blocked and tried to transfer the loot through a window to two accomplices waiting outside. One of the two accomplices fled by car. The other made his getaway on a motorbike, dropping a bag of jewels in the process. The total value of the loot was estimated at €4 million, a legal source close to the case told AFP yesterday evening. 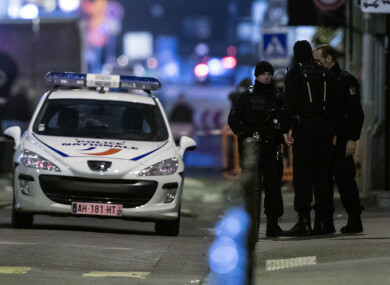 Interior minister Gerard Collomb praised the responding officers for their quick reaction which led to the three arrests, saying they had “done our police force credit”. Five men, some wearing jackets with police insignia, held Kardashian at gunpoint, making off with several pieces of gold and diamond jewellery as well as a ring – a total estimated worth of €9 million. One of the robbers, fleeing the scene on a bicycle, dropped a diamond-encrusted cross worth €30,000, which was found by a passer-by a few hours later. The robbery came a year-and-half after the Ritz re-opened its palatial doors to guests after nearly four years of renovations and a major fire. Email “French police recover some of the jewels stolen in last night's Ritz heist”. Feedback on “French police recover some of the jewels stolen in last night's Ritz heist”.